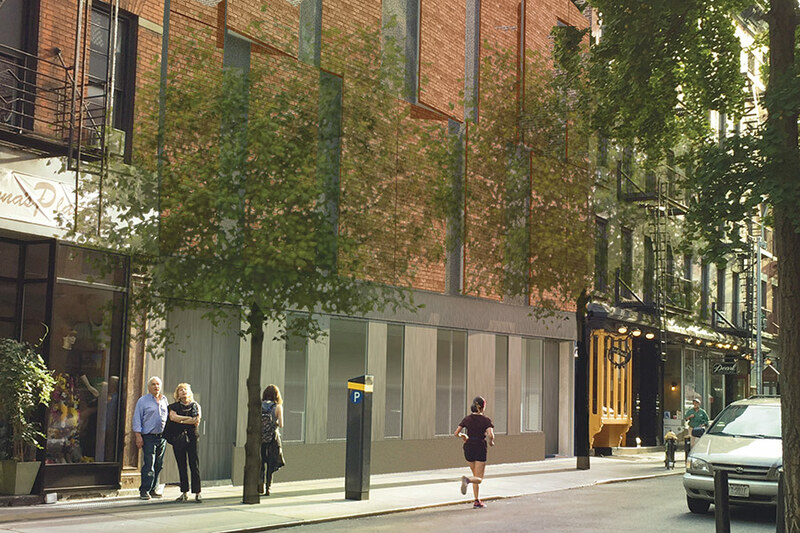 After years of hosting DOC NYC, the nation’s largest documentary film festival, and earning the highest gross-revenues in the country for many popular film screenings, the Sixth Avenue IFC Center will finally expand its venue in West Village. 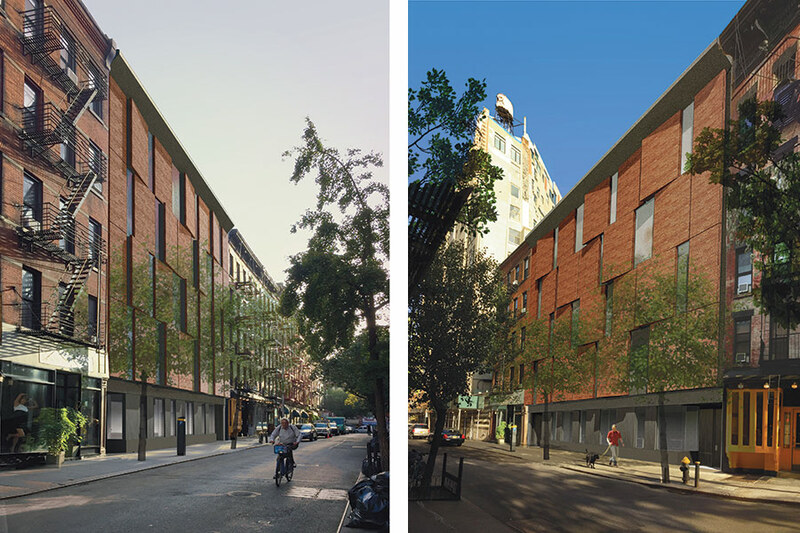 The New York Landmarks Preservation Commission (LPC) has approved the plans by New York City–based Kliment Halsband Architects (KHA) to double the size of the cinema to 20,000 square feet by building on an adjacent empty lot behind the current theater on Cornelia Street. With the expansion, the existing ground level screen will be removed and eventually added to the cellar, making room on the ground level for events. Then, six screens will be added to the existing five, raising capacity from 480 to 940 seats. From the exterior, the brick and glass facade appears to be four stories—melding with the street condition. However, the interior consists of two tall theaters above the lobby lounge. Currently, there is no lobby, so theatergoers stand along the sidewalk on Sixth Avenue. By adding this expansive space on the ground floor, the cinema will be able to better accommodate the many events it hosts throughout the year. The Cornelia Street structure will serve as a lobby lounge, while the main entrance will remain on Sixth Avenue. According to KHA, there is no plan to mimic Cornelia Street’s authentic elements. “Designing a building that blends in from the distance, but is completely unique close-up, is a victory for us,” KHA’s founding partner Frances Halsband told AN. LPC wanted the lobby to be public but not too visible. In response, the firm designed a fritting, made of ceramic glaze over glass, to regulate the degree of transparency at street level. Enveloping the theaters above, the facade will have “movement and shadow” to provide visual interest despite its lack of windows. According to KHA, the awkward triangular shape of the lot and division in zoning are the expansion’s main challenges and it has taken two years to decipher what could be done. Additionally, because the two lots have different zoning designations—one residential and one commercial—the theaters have to be triangular. KHA needs to consolidate the zoning on the lots in order to build square theaters and reorganize circulation. Therefore, the firm is filing with the New York City Board of Standards and Appeals to begin these processes in a few weeks. The IFC Center plays a big role in the downtown arts scene and hopes the expansion will enable their works of cinema to reach a broader audience. KHA hopes to begin construction this summer, which will take approximately a year.